You may submit your reservation or questions by clicking here. THE SINGING BODY™ Workshop, specifically for singers (although other musicians are welcome), focuses on both the physicality of singing and the mind. 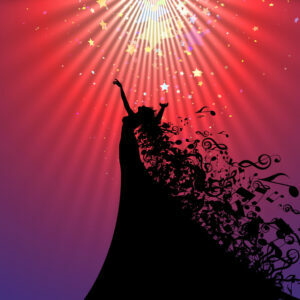 Learn how to bring more vitality and freedom into your singing by freeing the body and mind. We have a guest bodyworker, healer or teacher each time from disciplines such as Feldenkrais®, Alexander Technique®, Gyrokinesis®, Meditation for Creatives™, Balance for Health™, Restorative Yoga and Breathing Coordination™, people who are at the top of their profession and understand the particular needs of singers. This workshop is held several times a year in place of THE MUSIC SALON™, and complements NEW YORK SINGERS SUPPORT™. This month we present GYROKINESIS® with EZRA GOH. The GYROTONIC EXPANSION SYSTEM® Method is a unique, holistic approach to movement. Some of the benefits of a regular Gyrotonic practice include a healthier, more supple spine, increased range of motion, greater joint stability, improved agility and athletic performance, and a deep internal strength. Experienced Gyrotonic trainers offer personalized sessions that are adapted to fit the needs of all ages, and abilities, from elderly patients recovering from injury, to highly skilled professional athletes and opera singers. GYROKINESIS®, the focus of this workshop, is practiced using only a stool or chair and a mat, and can be done anywhere, so it’s perfect for travelers, such as globetrotting performers! The first time I experienced Gyrokinesis I felt like I was dancing (something I hadn’t been able to do for years due to a disability), and I walked out of the class feeling as though I’d been meditating for an hour. I was ecstatic! It’s both energizing and relaxing, something you really have to experience to understand. To attend, please contact Elena Greco at egreco@elenagreco.com or buy your ticket here. 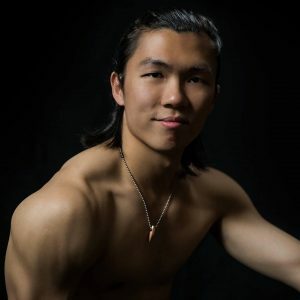 EZRA GOH is a GYROTONIC® teacher/trainer certified in both the GYROTONIC® and GYROKINESIS® Methods. Through teaching the GYROTONIC EXPANSION SYSTEM®, Ezra creates an environment within which people can explore the body’s natural instincts and mechanics, to experience what efficiency feels like, and therefore familiarize themselves with their own unique movement pattern that allows them greatest freedom with minimal effort. Once that familiarity is established, it can be applied to anything. Ezra has effectively used the method with a wide range of clients, from athletes, singers, dancers, golfers, surfers and martial artists, to patients recovering from pregnancy, hip replacements, herniations and scoliosis. He has also begun exploring the benefits of GYROTONIC® and GYROKINESIS® for PTSD, and has been invited to speak at the NYU Department of Psychology. He takes to heart the words of GYROTONIC founder Juliu Horvath, “I want music in my body and poetry in my body, and I want to be skillful without struggle.” Outside of teaching, Ezra is a photographer and an active dancer performing with Allison Chase / Performance.